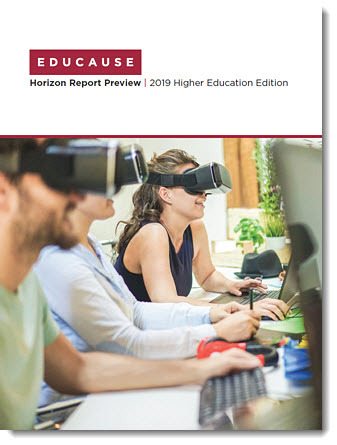 The finalized 2019 Horizon Report Higher Education Edition (from library.educause.edu) was just released on 4/23/19. Most people pass through some type of public space in their daily routine — sidewalks, roads, train stations. Thousands walk through Bryant Park every day. But we generally think that a detailed log of our location, and a list of the people we’re with, is private. Facial recognition, applied to the web of cameras that already exists in most cities, is a threat to that privacy. 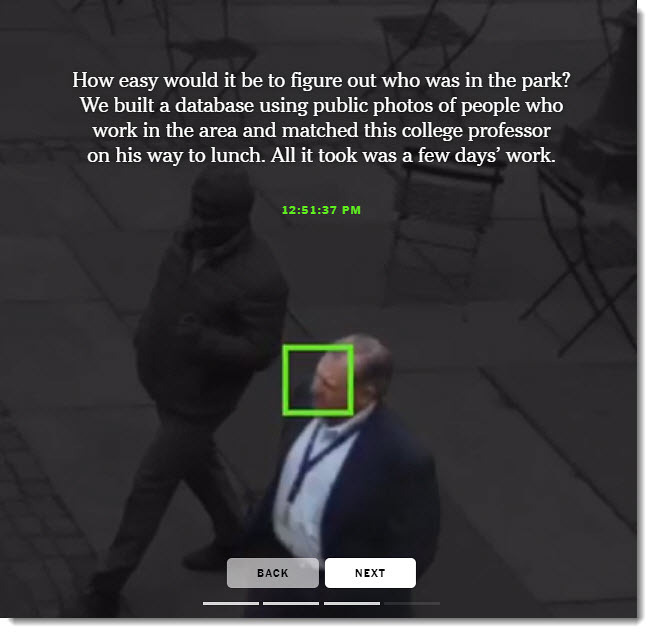 To demonstrate how easy it is to track people without their knowledge, we collected public images of people who worked near Bryant Park (available on their employers’ websites, for the most part) and ran one day of footage through Amazon’s commercial facial recognition service. Our system detected 2,750 faces from a nine-hour period (not necessarily unique people, since a person could be captured in multiple frames). It returned several possible identifications, including one frame matched to a head shot of Richard Madonna, a professor at the SUNY College of Optometry, with an 89 percent similarity score. The total cost: about $60. What do you think about this emerging technology and its potential impact on our society — and on other societies like China? Again I ask…what kind of future do we want? 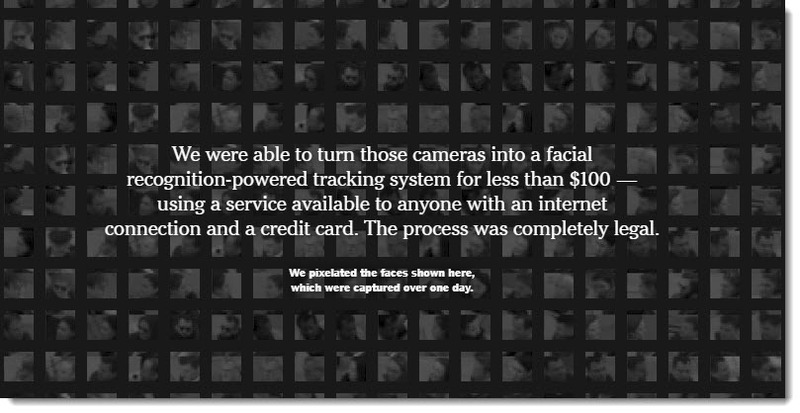 As for me, my face is against the use of facial recognition technology in the United States — as I don’t trust where this could lead. The cameras in Bryant Park were installed more than a decade ago so that people could see whether the lawn was open for sunbathing, for example, or check how busy the ice skating rink was in the winter. They are not intended to be a security device, according to the corporation that runs the park. So Amazon’s use of facial recognition is but another foot in the door. This needs to be stopped. Now. Facial recognition technology is a menace disguised as a gift. 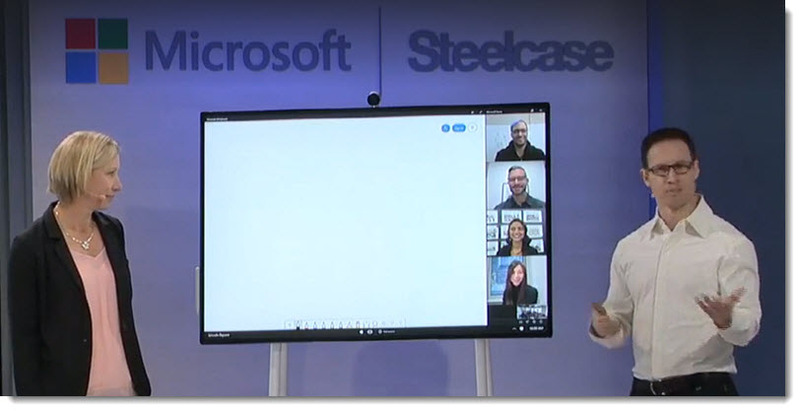 It’s an irresistible tool for oppression that’s perfectly suited for governments to display unprecedented authoritarian control and an all-out privacy-eviscerating machine. 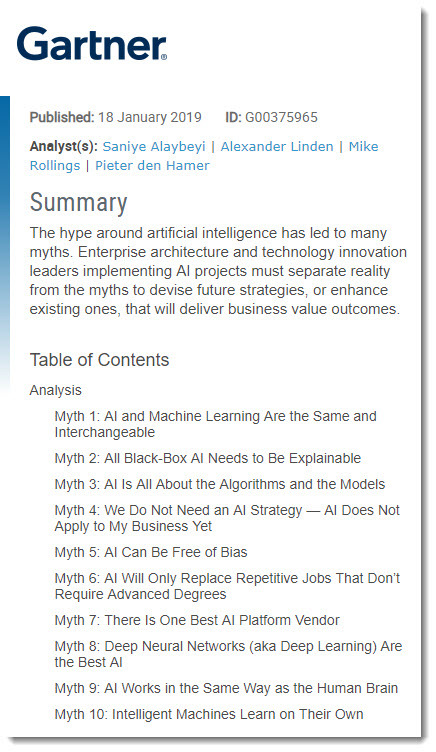 The numbers tell the tale of the AI industry’s dire lack of diversity. Women account for only 18% of authors at leading AI conferences, 20% of AI professorships, and 15% and 10% of research staff at Facebook and Google, respectively. Racial diversity is even worse: black workers represent only 2.5% of Google’s entire workforce and 4% of Facebook’s and Microsoft’s. No data is available for transgender people and other gender minorities—but it’s unlikely the trend is being bucked there either. This is deeply troubling when the influence of the industry has dramatically grown to affect everything from hiring and housing to criminal justice and the military. 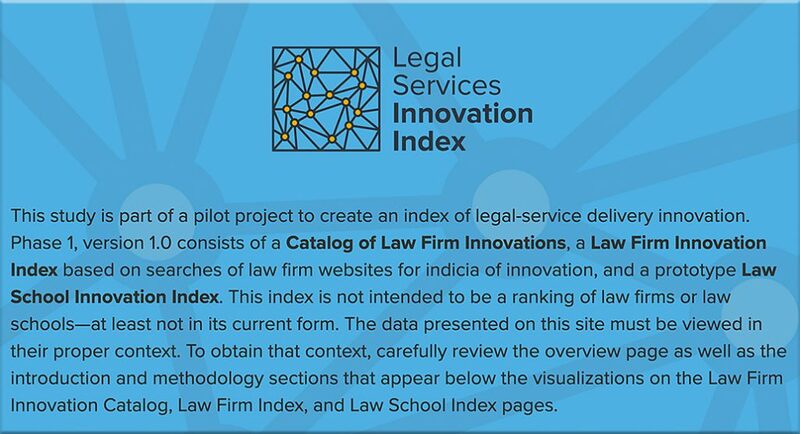 Along the way, the technology has automated the biases of its creators to alarming effect: devaluing women’s résumés, perpetuating employment and housing discrimination, and enshrining racist policing practices and prison convictions. Introducing AR wayfinding, by Dent Reality. I don’t like this piece re: Amazon’s use of facial recognition at all. 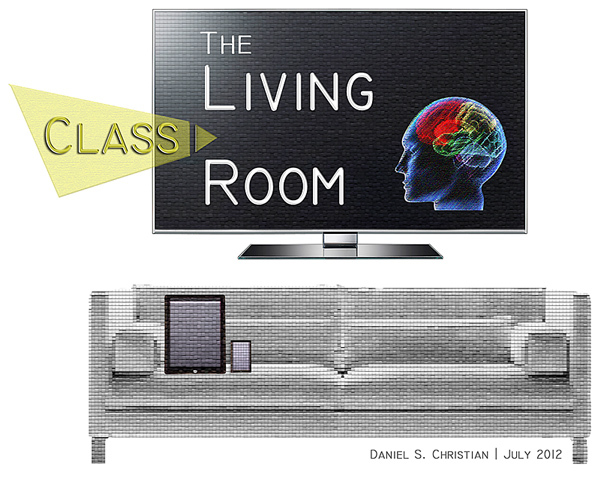 Some organization like Amazon asserts that they need facial recognition to deliver services to its customers, and then, the next thing we know, facial recognition gets its foot in the door…sneaks in the back way into society’s house. By then, it’s much harder to get rid of. We end up with what’s currently happening in China. I don’t want to pay for anything with my face. Ever. As Mark Zuckerberg has demonstrated time and again, I don’t trust humankind to handle this kind of power. Plus, the developing surveillance states by several governments is a chilling thing indeed. 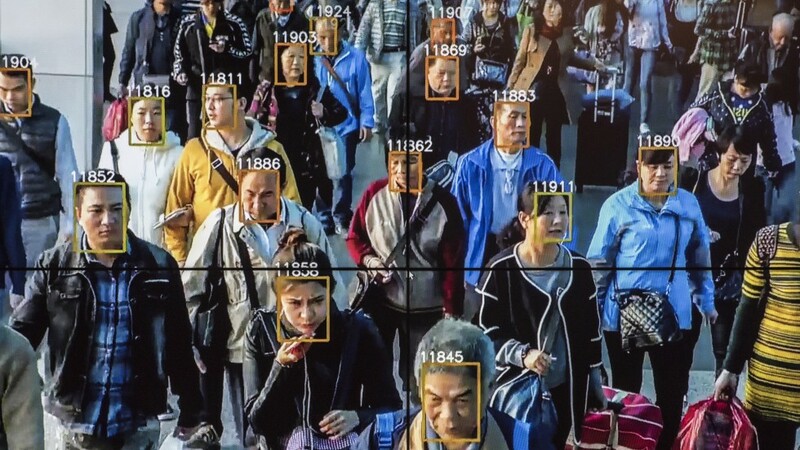 China is using it to identify/track Muslims. Can you think of some “groups” that people might be in that could be banned from receiving goods and services? I can. The appalling lack of privacy that’s going on in several societies throughout the globe has got to be stopped. Augmented Reality can change brain surgery thanks to powerful diagnostic platforms, revolutionize radiology, and open new doors to reconstructive surgery. Augmented Reality (AR), also known as spatial computing — a merging of digital and physical spaces — is one of the current technology trends that, together with Virtual Reality (VR) and Mixed Reality (MR), is changing all industries, including healthcare and medical education.